Winner: Artur Guseynov by abandonment at the start of second round. Winner: Gadzi Hanipaev by KO "punch" at 1:39 "
Winner: Andriy Mytrofanov by Technical KO at 1:19 "
Winner: Mihitaev Chiraman by decision "points"
Winner: Igor Sliusarchuck by KO "middle kick" at 6:29 "
Winner: Ayub Gimbatov by submission "rear neck chock" at 5:36 "
Winner: Rafael Silva by submission "neck chock" to 2:57 "
Winner: Edi Vicente by decision "points"
Winner: Edi Vicente by KO "knee strike" at 2:25 "
Winner: Oleksandr Dolishniy by submission "chock neck" at 5:16 "
Winner: Anderson Cruz by submission "neck chock" at 2:43 "
Winner: Rafael Silva by submission "rear neck chock " at 3:40 "
Winner: Igor Sliusarchuk by Technical KO at 4:10 "
Winner: Mihitaev Chiraman by submission "rear neck chock " at 4:46 "
Winner: Dolishniy Olexandr by decision "points"
Winner: Oscar Nave by decision "points"
Mattheus Senna (Brazil) defeated Amaiefulie Kristian (Ukraine) by technical knockout at 3:00. 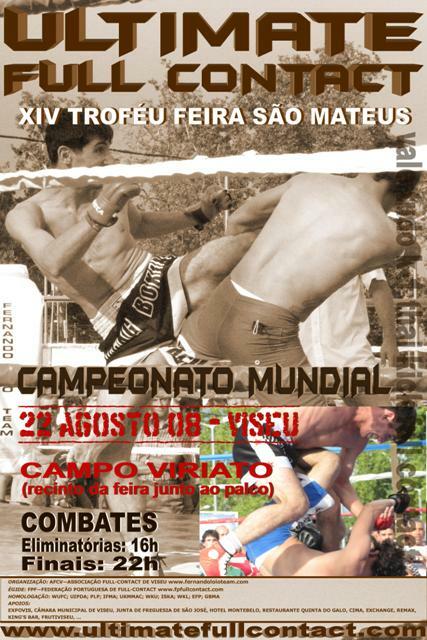 3º ProFC / Peresvet, PLP / Pro Pankration, Peresvit / Ukraine Free Fight, Fight Legion, Chute Boxe, Hombu Dojo, Team Senna. Pekov Marat – Russia wins by submission at 3:21 sec. over Shihdzhamalov Ashurbek – Dagestan Rep.
Tanshyn Artem – Ukraine wins by submission at 1:53 sec. over Gadzhi Hanipaev – Dagestan Rep.
Robbie Horton – England wins by decision over Zurab Aliev – Dagestan Rep.
Aliev Sultan – Russia wins by decision over Magomedov Mayindur – Dagestan Rep.
Kamutaev Marat – Russia wins by give up over Yusopov Ismail – Dagestan Rep.
Saakyan Karen (Azerbaijão) defeat Joaquim Rodrigues (Portugal) by TKO at 2:40. Ghilescu Sergiu (Moldova) defeat Saakyan Karen (Azerbaijan) by TKO at 9:50. Liezhniev Andrii (Ukraine) defeat Ashugyan Andranik (Russia) by submission at 0:50. Liezhniev Andrii (Ukraine) become World Champion defeating Ghilescu Sergiu (Moldova) by TKO at 3:19. 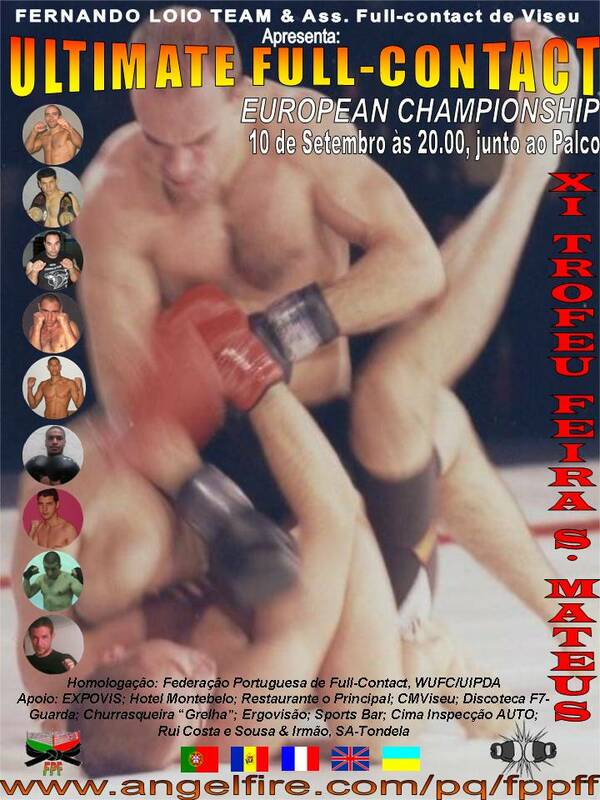 Neves becomes WUFC European Full Contact Champion. 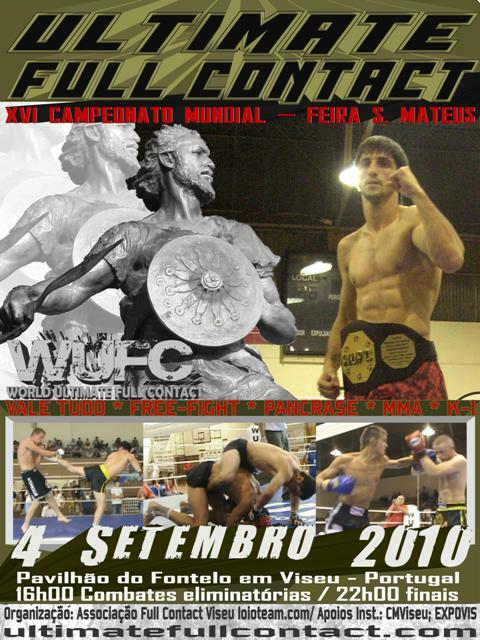 Sousa becomes WUFC World Full Contact Champion. 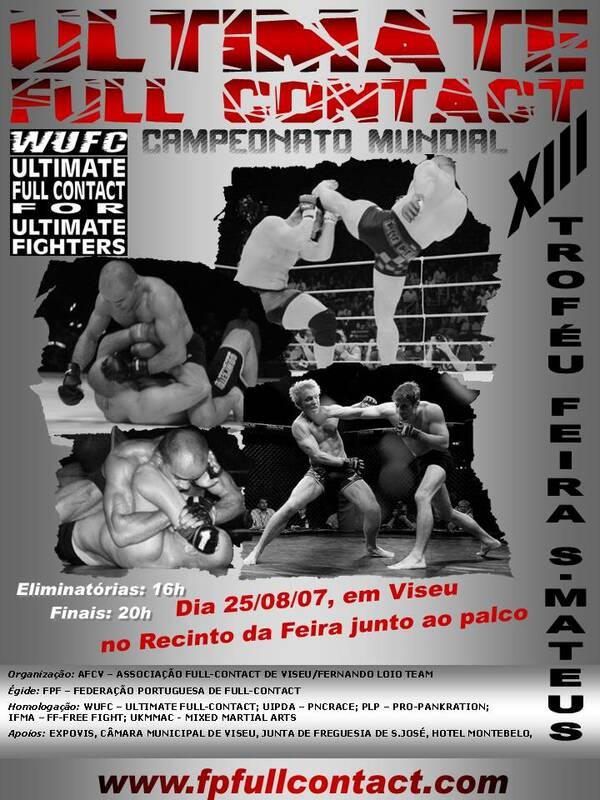 Rui becomes WUFC International Prestige Ultimate Full Contact Champion. 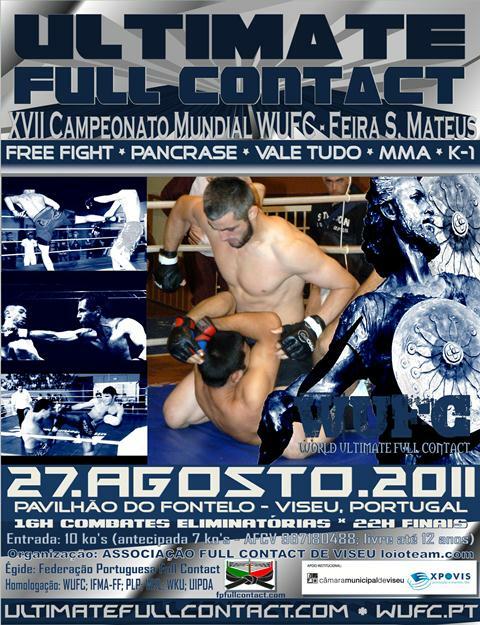 Garcia becomes WUFC European Ultimate Full Contact Champion.